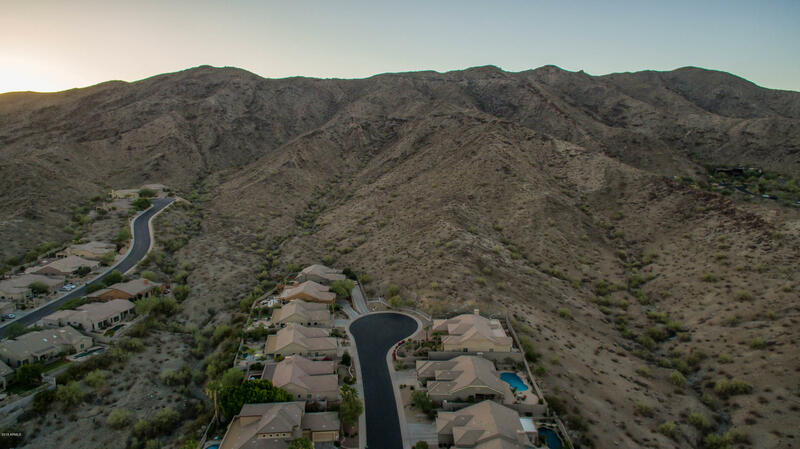 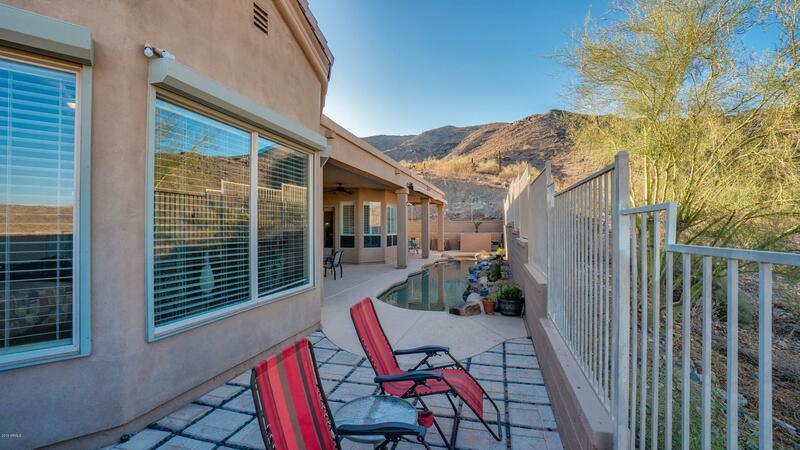 Executive elegant, 5 bedroom 4 bath single level home situated on secluded lot nestled into the mountain preserve. 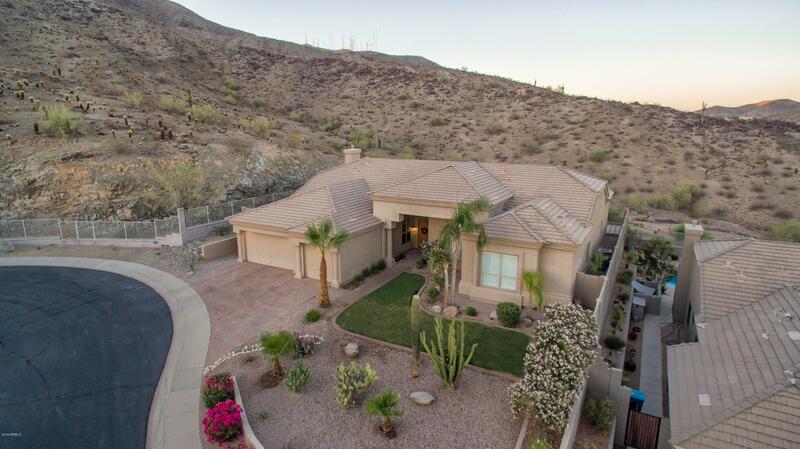 Top of the street with breathtaking views! 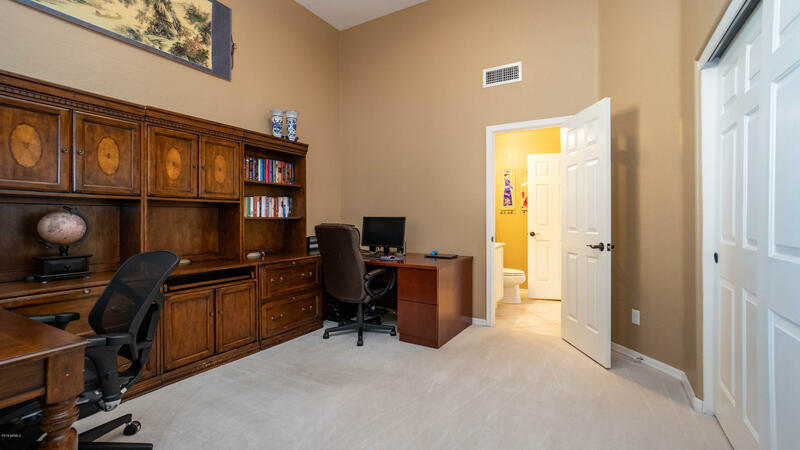 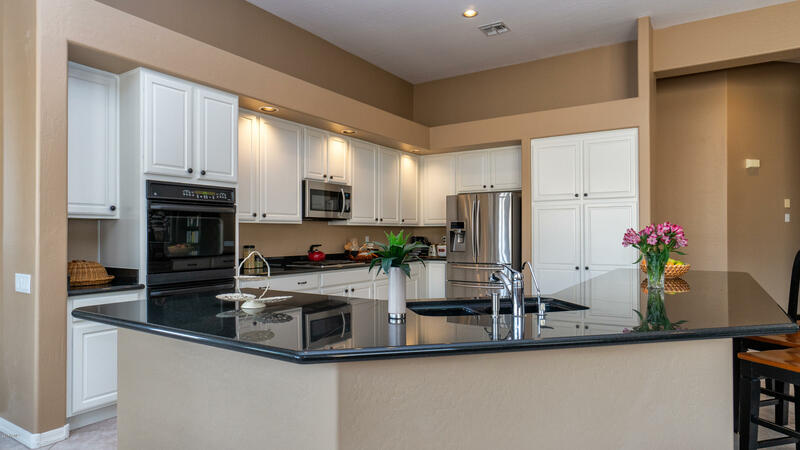 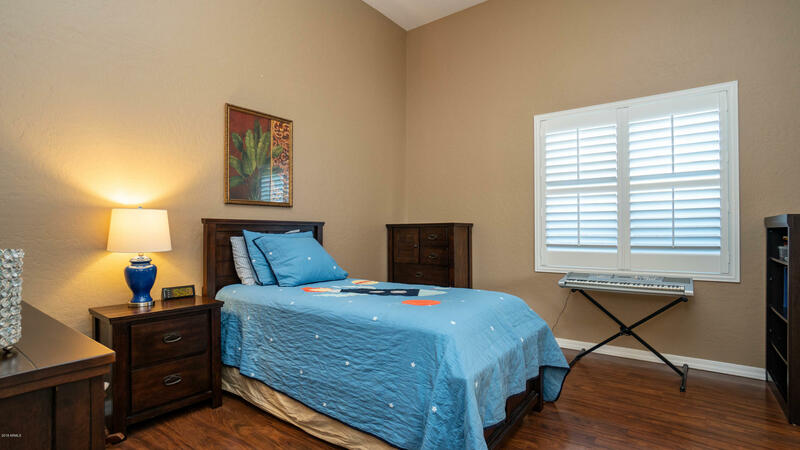 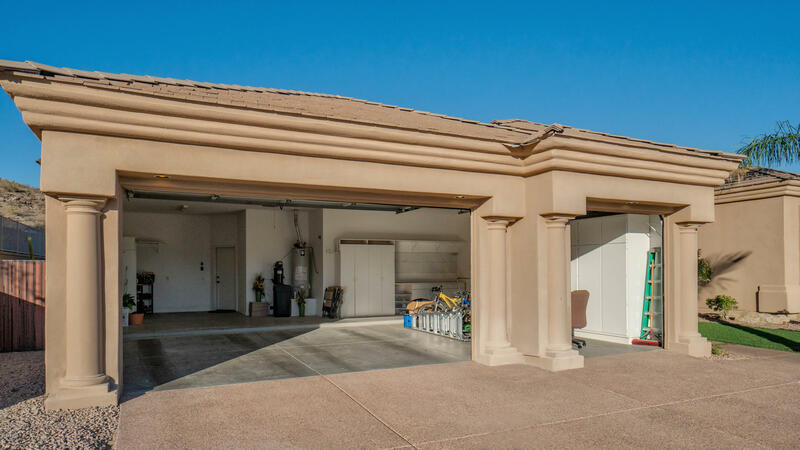 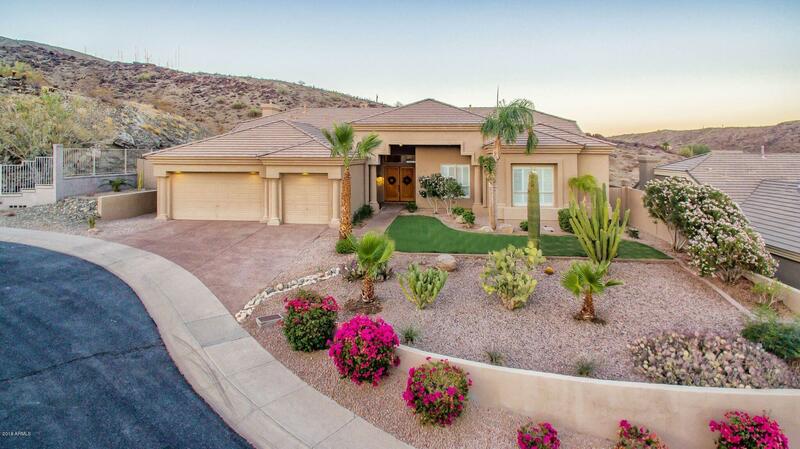 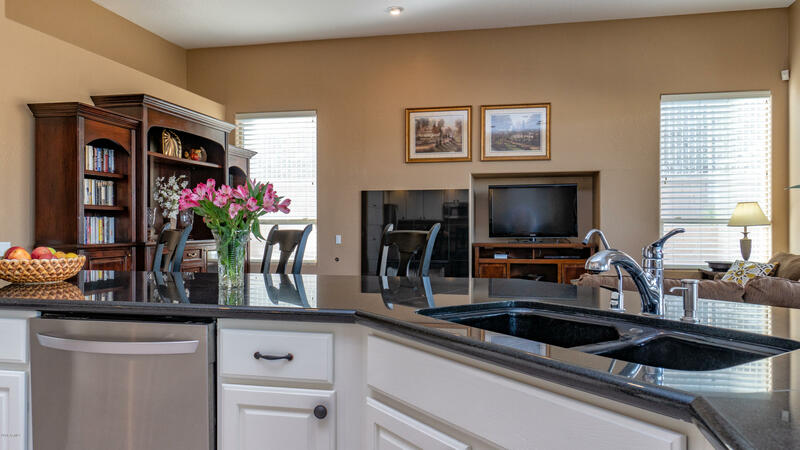 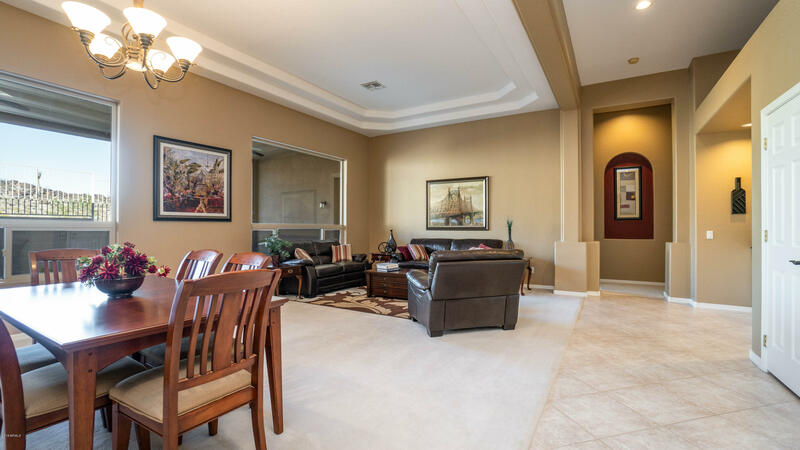 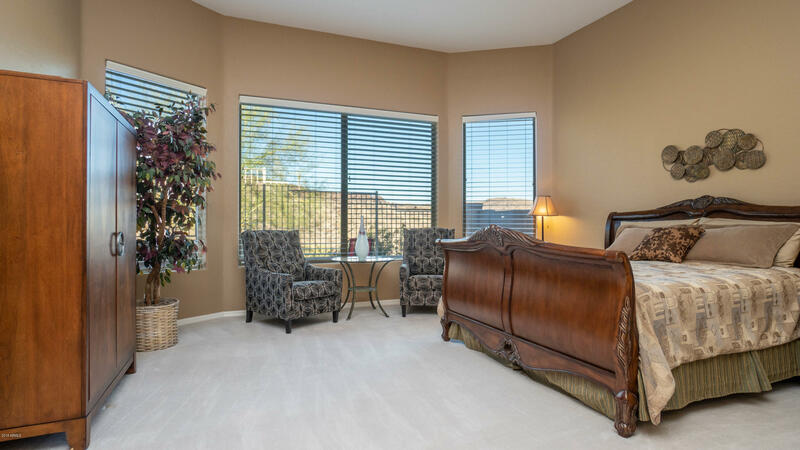 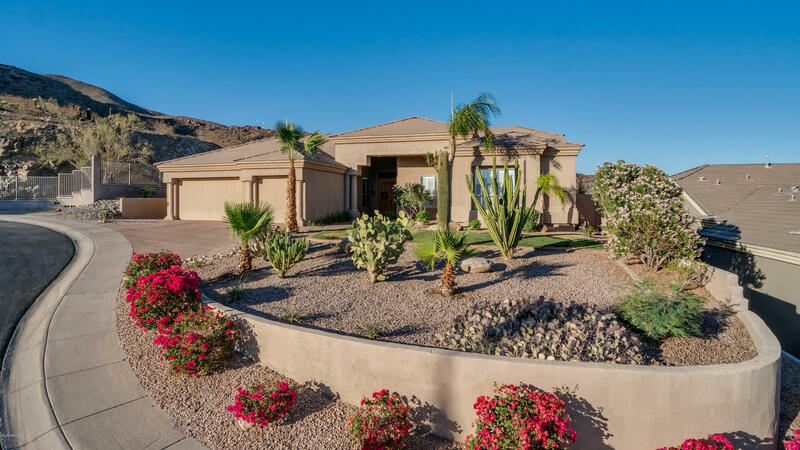 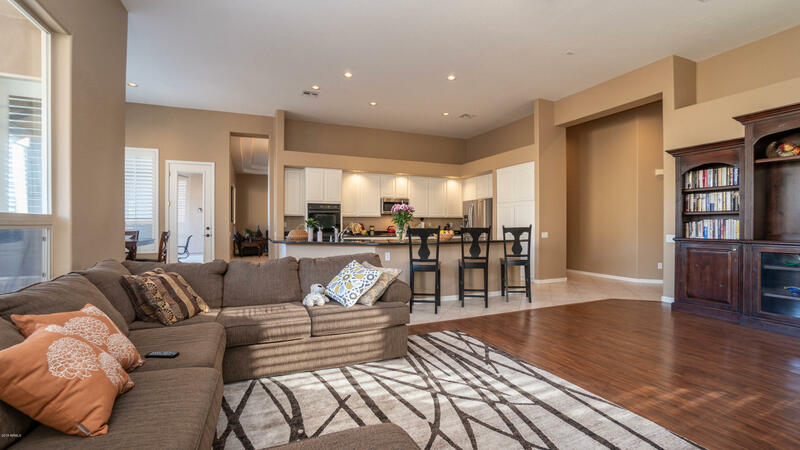 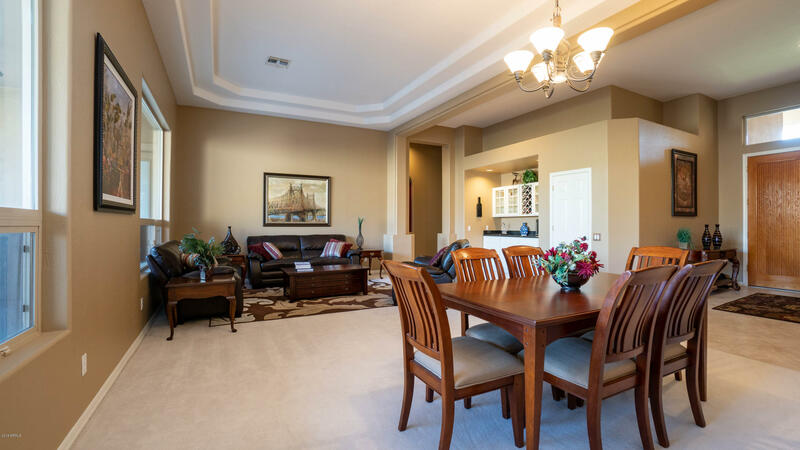 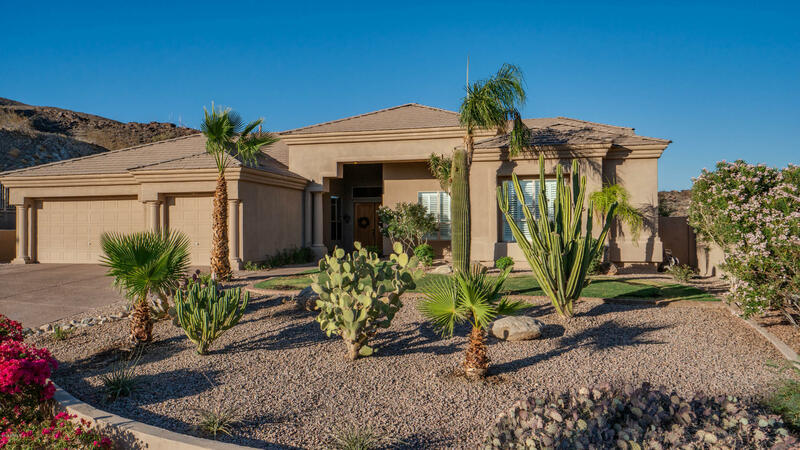 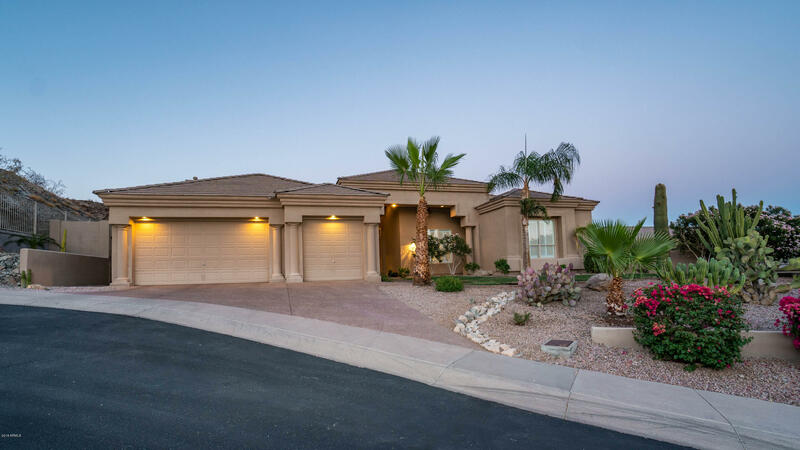 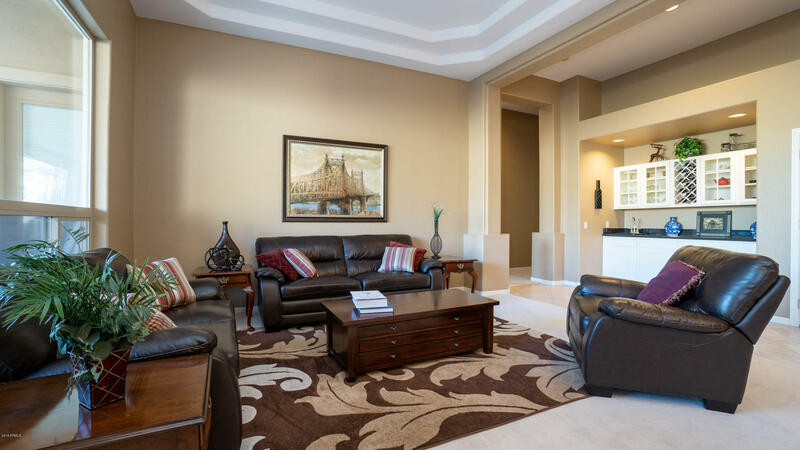 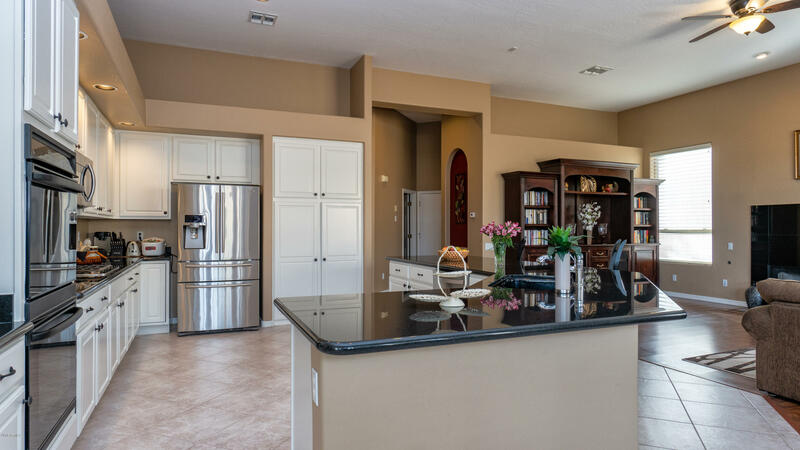 This gorgeous home sits at the top of a cul-de-sac in the gated community of Montana Vista. 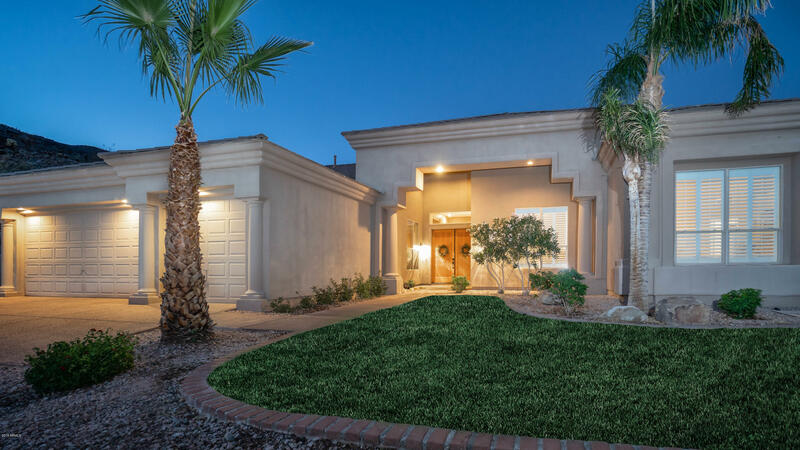 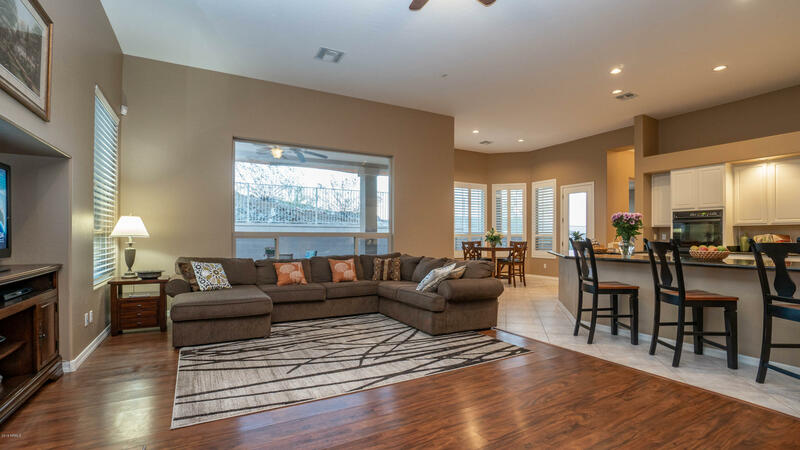 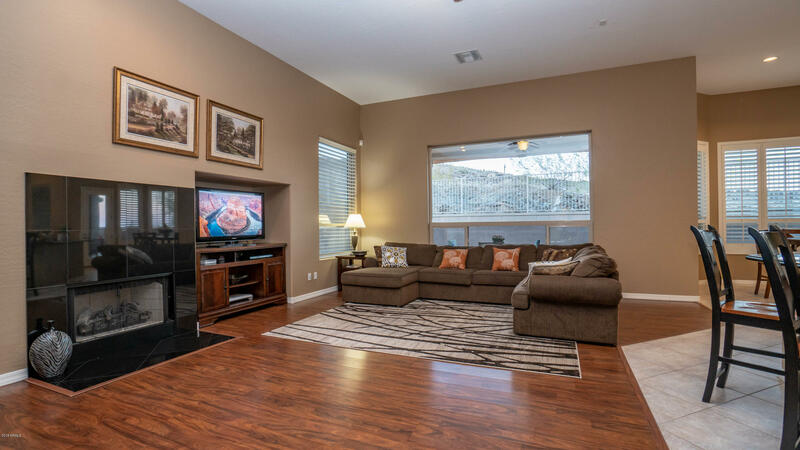 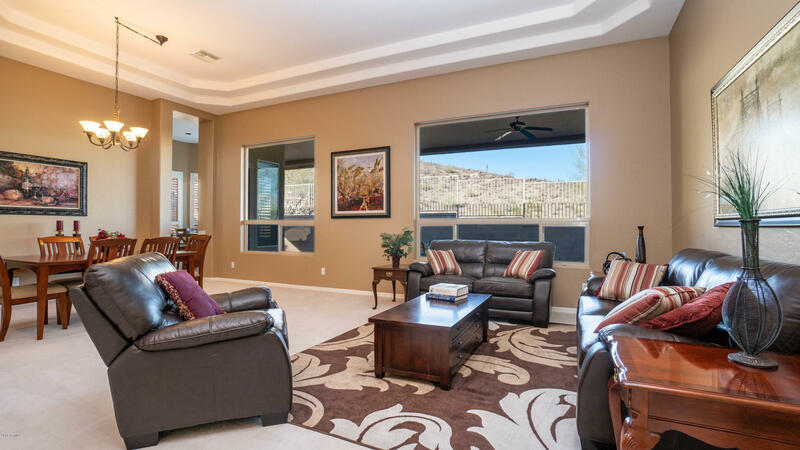 Beautiful front entry opens to spacious formal dining and living room with wet bar, tray ceilings and large picture windows with stunning mountain views! 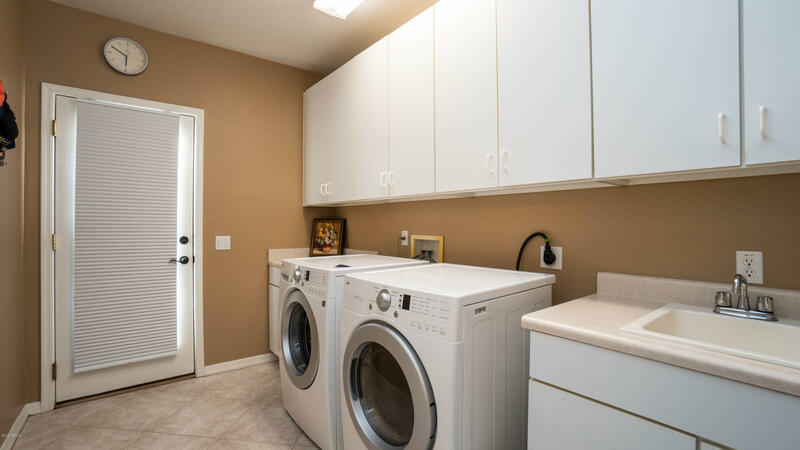 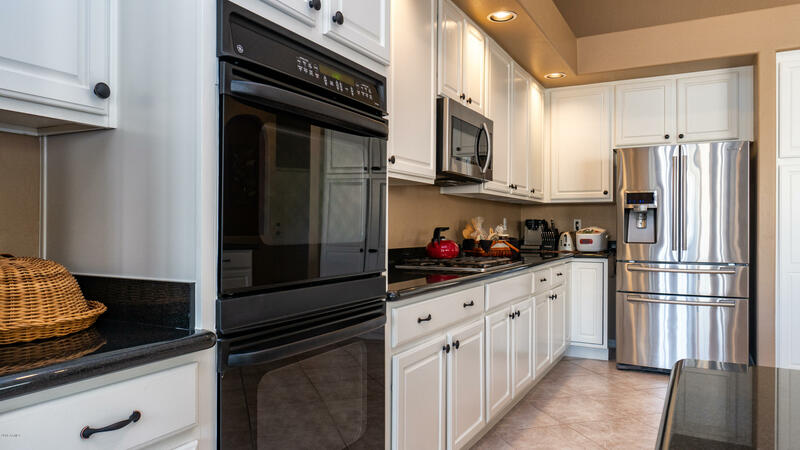 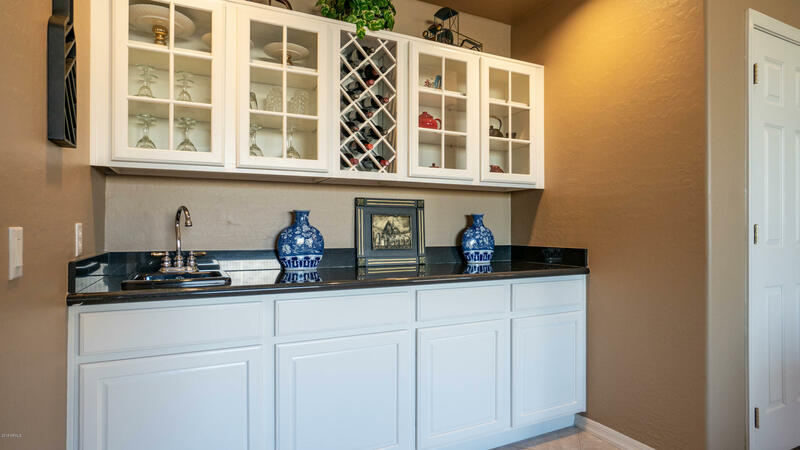 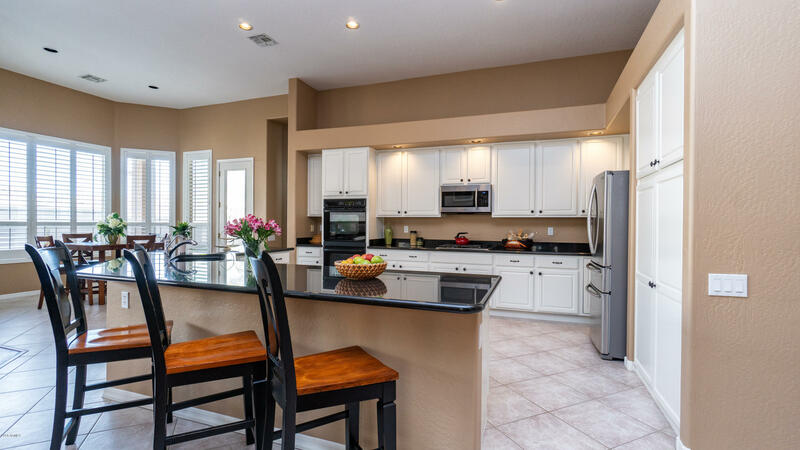 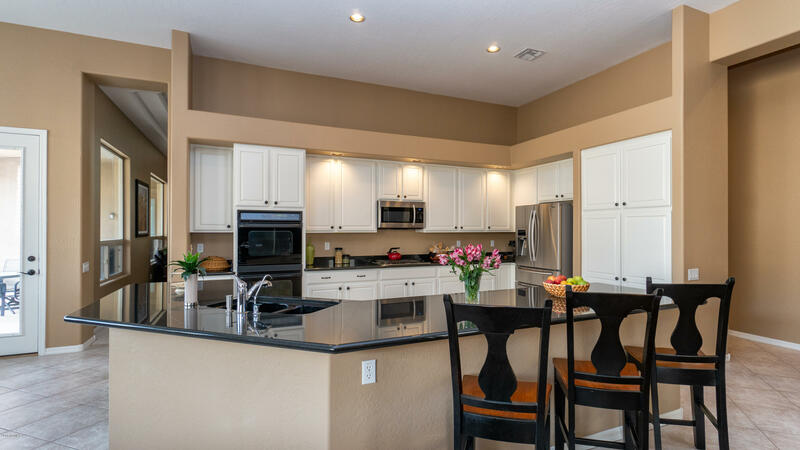 Designer white cabinets in kitchen, stainless appliances, kitchen island, pantry and breakfast room. 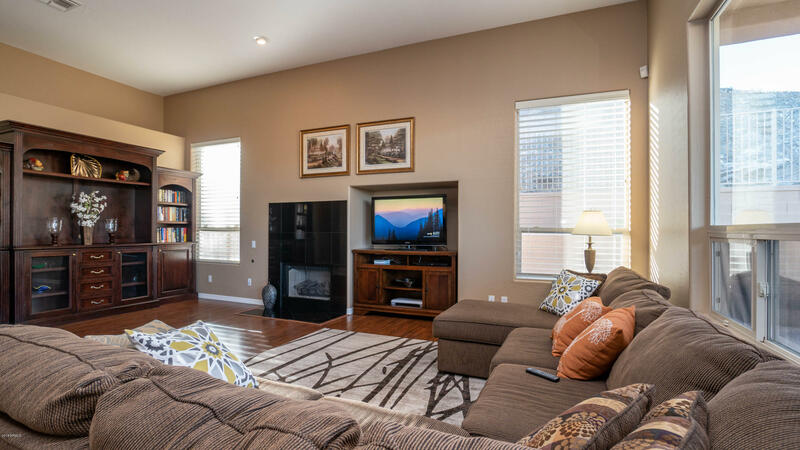 Large family room with fireplace and lots of windows. 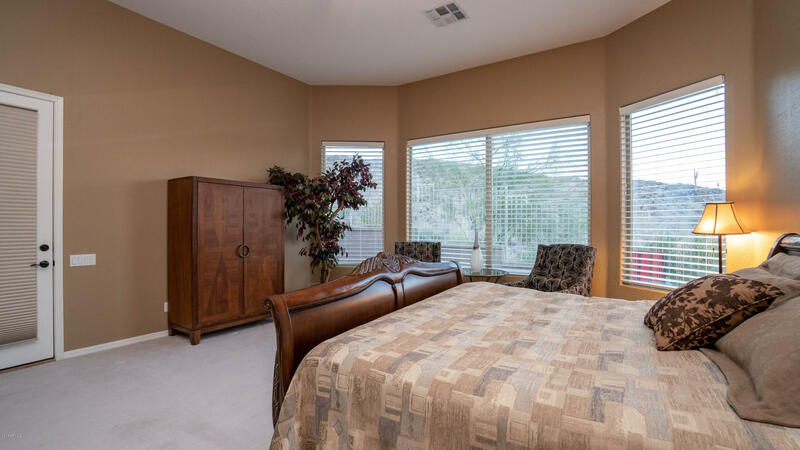 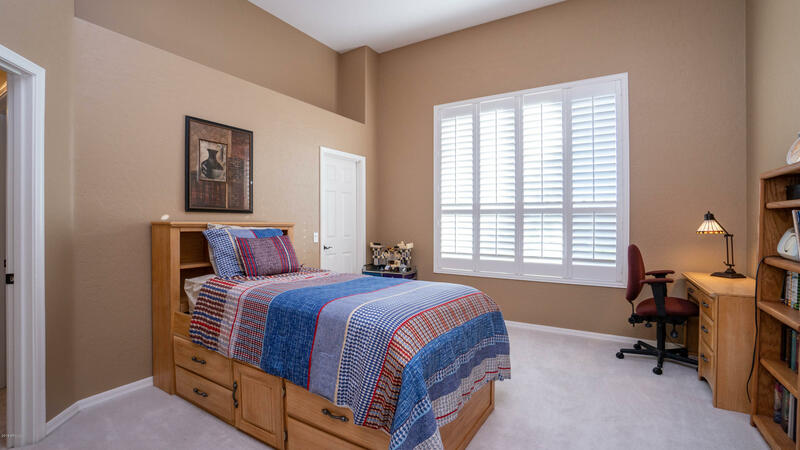 Over-sized Master suite with incredible hillside views and sitting area. 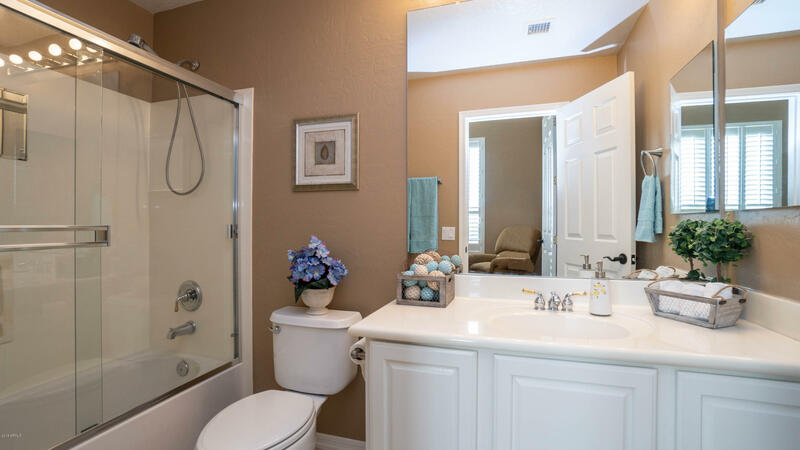 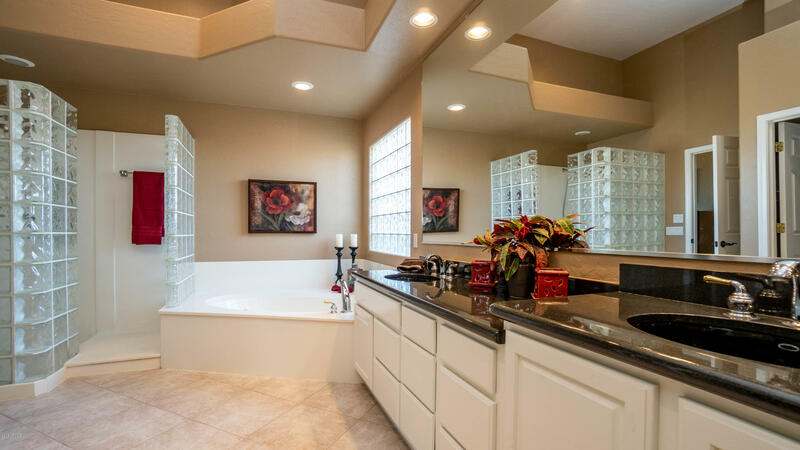 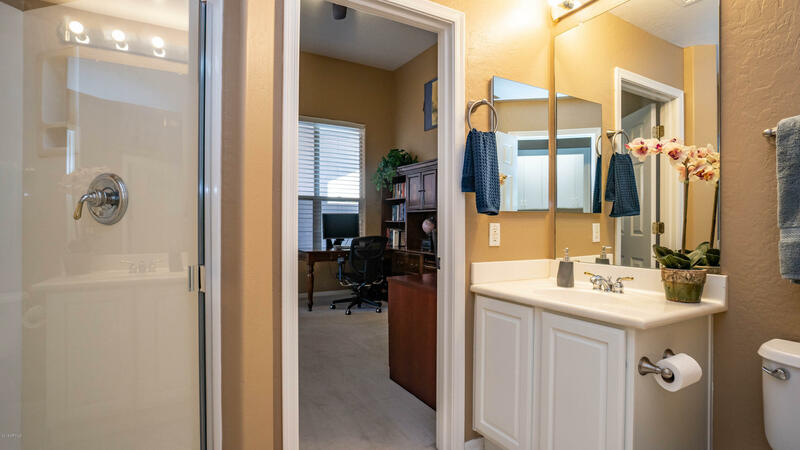 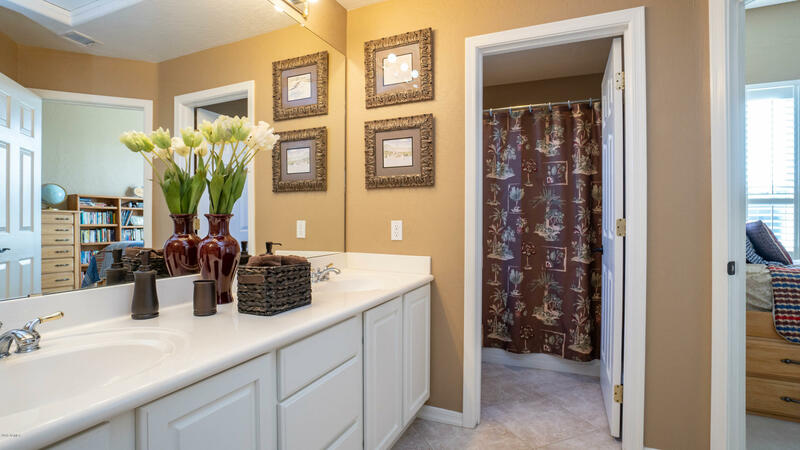 Master bathroom with jetted tub, walk in shower and large walk-in closet. 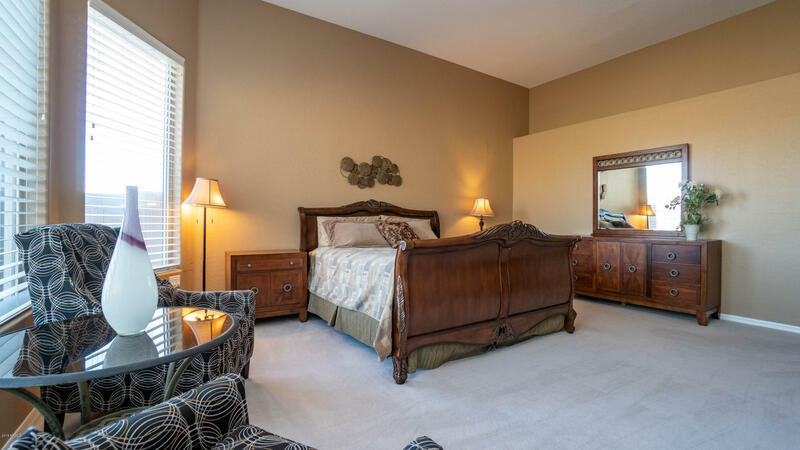 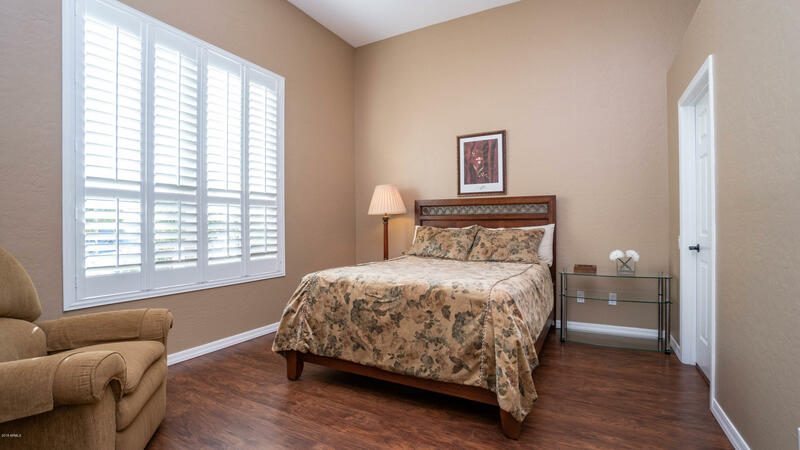 Four secondary bedrooms, one with private bathroom. 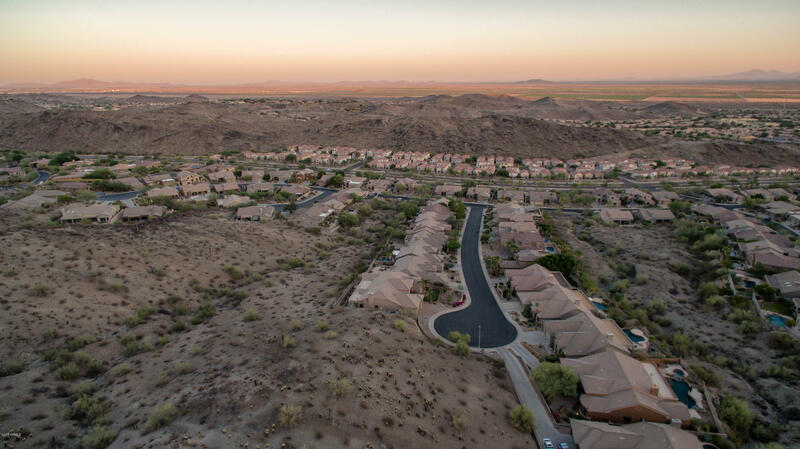 North on Desert Foothills Pkwy to 4th Drive; Right on 4th Drive (Montana Vista Gate; Right on Desert Flower; North on 4th Ave to home on right at the top of the street.